The Kaiser Vallejo Residency will no longer serve as a PNFI pre-requisite substitute. Functional MobilizationTM (FM) couples active and resisted movement (PNF) with soft tissue and joint mobilization to facilitate normalization of mechanical, neuromuscular, and motor control dysfunctions. The participant is trained to evaluate each movement segment through the use of PNF patterns and to combine the selective pattern into the full trunk and extremity patterns. Instruction will emphasize the treatment of both hypermobile structures and the stabilization of hypermobile segments with prolonged holds to promote activation of the core muscle’s contraction. Instruction will emphasize passive and active associated movement while performing soft tissue and joint mobilization in non-weight and weight bearing positions. Develop specific FM progression strategies to enhance functional capacity of the upper quadrant. Develop competence for assessment and treatment of focus areas: cranium, TMJ, sub-cranial region, cervical spine, thoracic cage, shoulder girdle, glenohumeral joint, elbow, wrist, and upper limb neural mobilization. Develop home exercises to augment the FM treatment strategies. Dynamically incorporate passive, active, and resisted associated movements with joint and soft tissue mobilization integrated with functional neuromuscular training. Learn advanced assessment of neuro-dynamics and specific tracing and isolating for dynamic Functional Mobilization™ of neurovascular restrictions. Develop strategic evaluation and treatment skills to enhance regional interdependence: UQ: rib cage, shoulder girdle, shoulder, elbow, wrist/hand, C-spine and cranium. Schedule may necessitate changes due to travel restrictions of the instructor. The instructor will discuss any changes at the beginning of the course if applicable. Break food will not be provided during FMUQ courses. There will be a Q&A during the dinner break on Thursday, however no food will be provided. You are welcome to bring your own snacks during the course, and for dinner on Thursday evening, if desired. We also suggest you bring a water bottle. Gregory S. Johnson, PT, FFFMT, FAAOMPT, graduated from the University of Southern California in 1971 and completed a one year residency program at Kaiser Vallejo under Maggie Knott. He remained as senior faculty for six years. Mr. Johnson is best known for his identification of the need for Physical Therapists to integrate treatment of the facial system into manual therapy and the development of the first Soft Tissue Mobilization course for Physical Therapists in 1980. In addition, Mr. Johnson utilized his extensive background in PNF to adapt standard manual therapy techniques of Joint Mobilization and develop the dynamic techniques of Functional Mobilization™ and Resistance Enhanced Manipulation™ (REM) techniques for joints, soft tissues, and neurovascular restrictions. Mr. Johnson has trained or directed the training of over 40,000 therapist in the USA and internationally. Gregory Johnson is the co-founder and President of the Institute of Physical Art, the co-developer of the Functional Manual Therapy™ approach to patient care, and the Director of an APTA credentialed AAOMPT Fellowship program in Functional Manual Therapy™. He has published multiple chapters and articles on Soft Tissue Mobilization, PNF and the Orthopedic Patient, Functional Mobilization, and Functional Test for the Lumbar Patient and is currently involved in several research projects on Functional Manual Therapy. The instructors advertised for the course are the intended instructors. The final number of instructors will be determined by course enrollment. Every effort is made to hold the course with the scheduled instructors. Course refunds or transfers will not be granted based on a change of instructors. Please note there may be instructor changes without prior notice. Multiple instructors are scheduled for each course. However, the actual number of instructors at a course will be determined by final enrollment. Prior to the classroom portion of this course, all students must complete required course preparation. The preparation for FMUQ includes an article and a quiz. Plan to spend approximately 1,5 hour learning this important information. Once enrolled in a course, required course preparation can be found by logging on to your IPA account and selecting "My Upcoming Courses." If you have any trouble accessing the required course preparation please call the IPA office at 970-870-9521 for assistance. iPads and iPhones do not support flash which is required for the quiz portions of the pre-course work. Videos are viewable, but a computer will be needed to complete the quiz. It is required that each participant reviews the Bibliography and read any article they are unfamiliar with prior to the course. All Course Bibliographies. Illustrated Anatomy Book Each participant must bring an illustrated anatomy book to the course. We recommend Netter FH. Atlas of Human Anatomy, 5th Edition. East Hanover, MNJ. Novartis 1977. Online anatomy applications work well if you have a way to access them during the course. Other illustrated anatomy books are acceptable, but page numbers of specific illustrations from other books will not be referenced in the course. Atlas of Human Anatomy books may be ordered on Amazon.com or www.us.elsevierhealth.com/netter/. Supplies are shipped 2-3 weeks prior to the course if you would like to order a 1/2 foam roll from IPA. Orders placed after the supplies have shipped will incur a fee to expedite your order, and may include charges for faster shipping. Course participants will receive an IPA Mobilization Belt. Trail Guide to the Body. Biel, Andrew, Books of Discovery: 2001. www.trailguidetothebody.com or bodytrail@aol.com. The Thoracic Spine and Rib Cage; Musculoskeletal Evaluation and Treatment by Tim Flynn. Chapter 10: Myofacial Consideration in Somatic Dysfunction of the Thorax. Ellis, J.J., and Johnson, G.S. Boston:Butterworth-Heinemann, 1996. Rational Manual Therapies, Basmajian and Nyberg, Chapter 11 - Proprioceptive Neuromuscular Facilitation, by Vicky L. Saliba, Gregory S. Johnson and Cheryl Wardlaw. Each attendee is expected to complete the required reading and attend all hours of instruction to receive a Certificate of Completion. Any exceptions to this policy must be pre-approved in writing by the IPA Directors. Each participant's body must be accessible for observation and treatment. Sports bra or halter top and shorts are appropriate for women. Shorts or swim trunks for men. Please refrain from wearing large or sharp jewelry. A sweat suit is advisable between demonstrations, as temperatures may vary in the room. This 4 day workshop is quite demanding and intense. Please come prepared and rested. Have your fingernails clipped back and filed as some techniques require fingertip pressure. Review course manuals from FM I and PNF I, as well as Chapter 11 from Rational Manual Therapies in required reading below. There will not be a review of FM I or PNF I at the course. We strongly recommend that you have taken the pre-requisite course within three to five years to be updated with the current pre-requisite material. This is especially important for PNF. You will receive an IPA Mobilization Belt. Please bring a 1/2 foam roll to be used during the course. There are numerous hotels available in the Des Moines area. 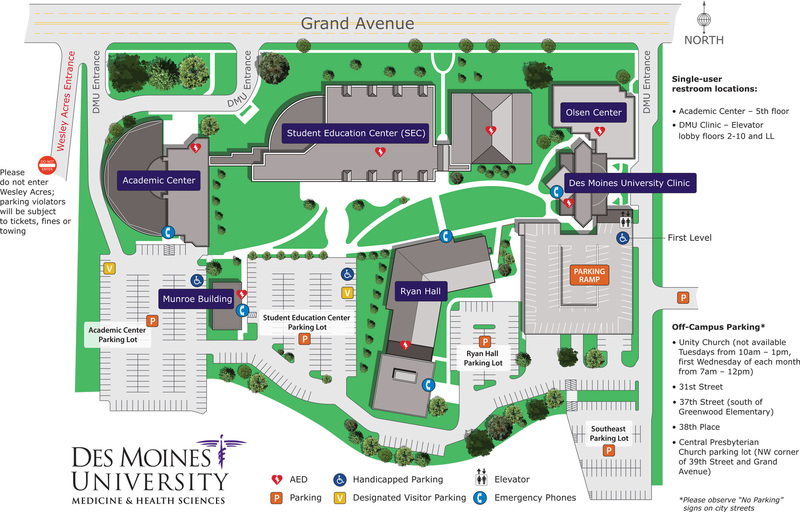 Below are a few options located downtown (close to campus), near the airport and west of Des Moines. Some hotels offer shuttle service to DMU, but you must inquire with the hotel directly. Some hotels may offer a discount (based on availability). Mention DMU to your hotel to see if a discount may be available. Before registering for a course you should verify approved CEUs with your state licensing board or association. State rules are subject to change. IPA courses are approved for the state in which the course is held.